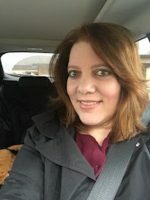 Sandy is a serial entrepreneur, currently working in the Maryland SBDC as a regional director for the western region at Frostburg State University. She is also a professor at Walden University and Frostburg State, teaching in the MBA program. 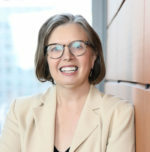 Her interest in strategy began as part of her doctoral dissertation, but she has also witnessed many organizations struggle with strategic planning and implementation. She is willing to help communities, especially smaller ones, develop agile strategies to improve quality of life. Liz’s passion is for creating programs that nurture the next generation of thinkers and doers, through the development and growth of innovation and STEM education ecosystems. As the senior program director at the Purdue Agile Strategy Lab, Liz shepherds the expansion of the Lab’s programming and partnerships with other universities interested in deploying Strategic Doing. She is a former senior program officer at VentureWell, where she provided leadership to the Pathways program for the National Center for Engineering Pathways to Innovation (Epicenter), an effort to engage with 50 colleges and universities to redesign undergraduate engineering education. Prior to joining VentureWell, she led STEM initiatives at the Penn State Center – Pittsburgh, was the southwest regional coordinator for the Pennsylvania STEM Network, and served as Director of Outreach and New Economy Program Development at the Institute of Advanced Learning & Research, a Virginia Tech initiative. She earned her BA from Stanford and an MBA from Northeastern University. 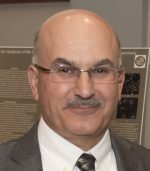 Bahram Roughani is currently serving as Associate Dean for the Natural and Applied Sciences and Professor of Physics at Loyola University Maryland. He oversees the planning and operation of Engineering, Computer Science, Physics, Chemistry, Biology, and Mathematics and Statistics Departments. He initiated the Pathways in Innovation at Loyola University in 2015 based on a core team of faculty from engineering, computer science, and physics departments, when he successfully used Strategic Doing to guide the implementation of this initiative. Prior to 2013 he was serving as the Department head of Physics at Kettering University.